Keeping a Gratitude Journal For Girls helps you stay grateful. I don’t know about you, but as a girl, it can sometimes be hard for me to recap all the positive things to be grateful for every day. Some days it feels like there are tons and other days it feels like there is none (and when the bad vibes start-a-flowing it’ll be-a-showing). Bad vibes can ruin our day or even our whole week, so this is where the help of a gratitude journal comes in. It helps to remind us that every day is awesome! Well, I am glad you asked! A gratitude journal is a particular journal we write in every day to remind ourselves of all the things and moments we have to be grateful for. It can be obvious like having good friends and family, or things we often take for granted, like having plenty of food to eat and a home to sleep in at night. Lots of people can forget or overlook how many smaller items they have to be grateful for each day. We can get so busy that we often miss many of them. This is why super busy people like Oprah Winfrey use it in their lives to help remind them of things they may have taken for granted. Oprah Winfrey Uses a Gratitude Journal! Are you kidding me? Yes, that’s right! Even Oprah Winfrey, the famous television star, embraces the importance of a keeping a gratitude journal for girls and everyone for that matter, and loves how it has changed her life for the better. You might be thinking “Oprah’s super rich! Why does she need to keep a gratitude journal?” Well, the truth is that money can’t buy us everything. The most important things in life like good health, friends, and family are all things you can’t buy—even If you’re Oprah! On her website, Oprah.com, Oprah states that “appreciating whatever shows up for you in life changes your personal vibration. You radiate and generate more goodness for yourself when you’re aware of all you have and not focusing on your have-nots.” So, when we focus on the good vibes rather than the bad vibes it helps to keep life fun, light, and energized. Doesn’t sound too shabby to me! 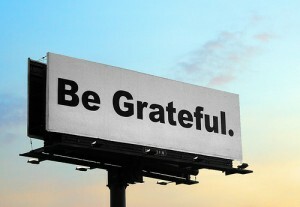 What If I Can’t Think of Anything To Be Grateful For Today? 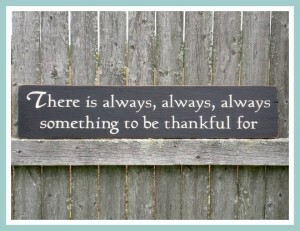 Believe me, there’s ALWAYS something to be grateful for, no matter how bad our days may seem. Our only limit is our imagination. When keeping a gratitude journal for girls, you can be as creative or as serious as you like. Just remember to keep your good vibes up by reminding yourself of all you have to be grateful for each day! How Do I Write a Gratitude Journal? Some people like writing on paper and others on the computer—either one works great for a gratitude journal. If you want, you can even experiment by trying both to see which one is right for you. Neither option is better than the other, just different. Take five minutes from your day to be still and rest your mind. This is a perfect time to be real and be you. Remind yourself of what you are grateful for each day and be as specific as possible. If you’re grateful for the red apple you had with lunch, awesome! But, try your best to think about why you’re so grateful for that awesome red apple. Depending on the day you’ve had this can either be the easiest or the hardest step. If you can think of ten things one day, that’s amazing! But on the days when it’s hard to think of just one, try to come up with at least two more. Remember, they don’t have to be big things, you can be grateful for small things or moments too, just keep the good vibes coming and have fun!